October in Guatemala is lush and green and filled with cloudy afternoons that end in downpours. 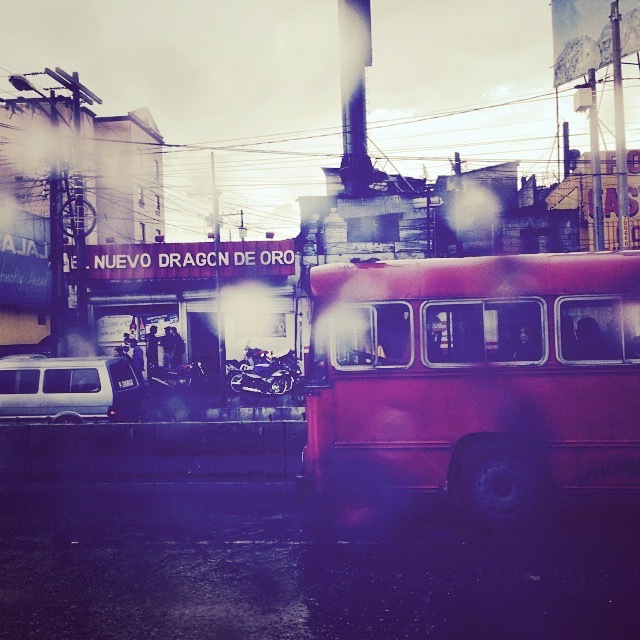 This Saturday afternoon is no different: I land in Guatemala around noon and feel that tug of excitement and anxiety that traveling into a new, unknown place brings. I make it past the customs and the passport check and meet some of my classmates from Johns Hopkins School of Nursing at a cafe right outside of the airport. We spend a few hours here waiting for everyone to arrive while I drink my first Guatemalan coffee. By two, everyone is here, and we can start our one-week journey, which will take us from Guatemala City to Antigua, and then to Lake Atitlan region. We walk into an overcast afternoon and a short spout of rain follows. We are able to see only a few miles of this capital city before our van veers off and heads to the beautiful city of Antigua. As we enter this ancient city, which was once the capital of Guatemala, the asphalt beneath us turns into cobble stone, and the streets became narrow and lean. We are suddenly surrounded by terra cotta roofed houses full of color: From hibiscus reds to aguacate greens. In short, Antigua is a city hugged by mountains. One of the three volcanoes looming over the ancient city is the Fuego. Active and resourceful, the volcano doesn’t disappoint and puffs several times a day to let its presence known. Just like Guatemala, Antigua has a rich history filled with sadness and triumph. The city has been through many earthquakes, a revolution, plenty of wars and even a fire that burned everything down. Our van stops in the middle of the city square, and we are soon among half dozen Mayan street-sellers, asking if we need any scarves or bracelets, which are hand-woven and very cheap. The indigenous women wearing traditional clothes are striking. I can’t help but stare at what they are wearing: Beautifully woven blouses in bright reds, yellows and greens with hand-sewn, ornate images of quetzals and jaguars. I will soon learn that Mayan women have been wearing these colorful garments, which are called huipiles, for centuries as a badge of identity. In Antigua, most of our days start early. We eat a traditional breakfast of eggs topped with warm tomato sauce, mashed blacked beans served in scoops, ripe fried plantains and cuts of papaya and pine apple. In the three days that we are here, we visit a coffee plantation, ride on a chicken bus that crams us next to native Guatemalans skin to skin, take a two-hour medical Spanish class and get to travel to a few rural villages. Our first project in Guatemala is to install eight stoves at a nearby village. We will be putting together stoves from very basic material and installing them in a near by Mayan community. On average, women in Guatemala cook about 100 tortillas a day, and many do it over an open fire, which leads to a lot of upper respiratory problems. This system of cooking put women and children at great risk for complications such as asthma and many other chronic health issues. Hence, stove-installation projects have recently become popular in Guatemala. During our installation process, we are split into small groups and scattered around the community. The family that I am matched with are farmers. They grow coffee and sell it to buy corn. The stove that we eventually install sits on the dirt floor of their very bare kitchen covered with a tin roof. Another great paradox of this country is the fact that Guatemala has a very serious malnutrition problem. It is easy to see that Guatemala is still very agrarian: Everyday we pass acres and acres of farmland growing wide range of crops. 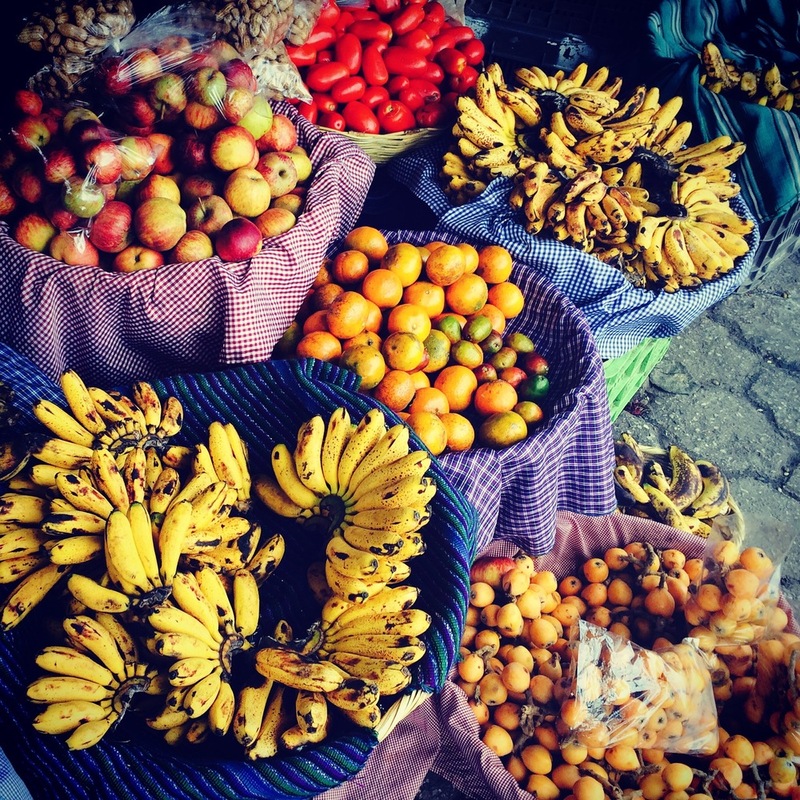 Further, Guatemala has the highest GDP in Central America but one of the worst malnutrition and chronic under-nutrition rates in the world — lowest in the western hemisphere. The country exports much of its produce and fruit to places like the United States. This means that half of the country is malnourished. All of the women that we visit today are considerably shorter than us, and this has nothing to do with their genetic makeup. Simply, they are shorter because of what they eat. As these layers of Guatemala are unveiled to us, our landscape changes again. 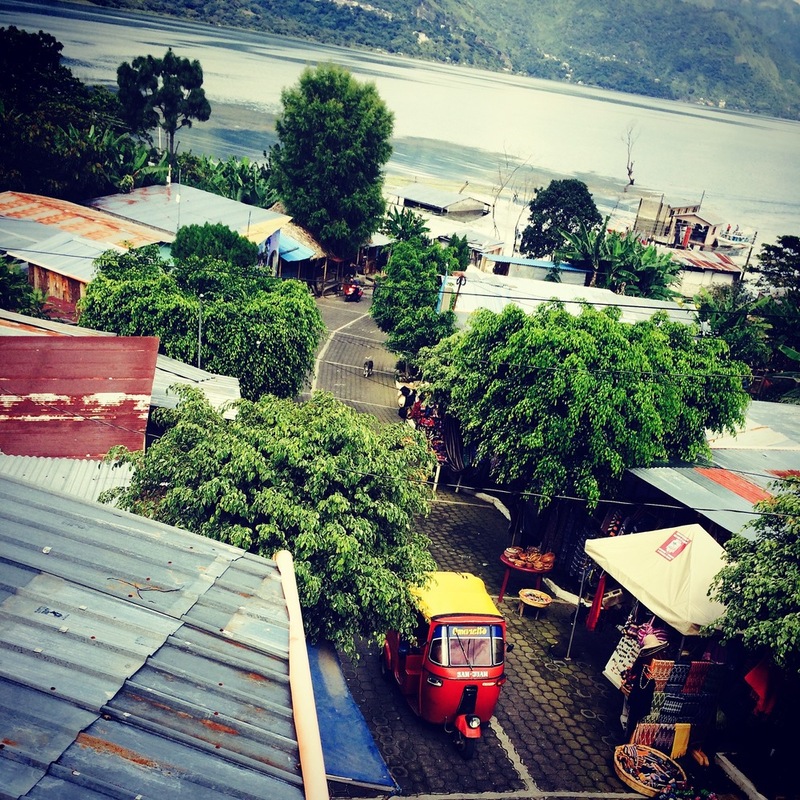 We travel from Antigua to Lake Atitlan for the second part of the tip. The first part of our trip is as different from the second part as the landscape that surrounds us. After a two-hour drive, we take a boat ride to our hotel and cross Lake Atitlan’s murky waters for the first time. On our first afternoon here, we hike to a nearby town to meet with a doctor from the United States, who has been here since 2006, taking care of a local clinic. In sweaty shirts, we listen to this medical professional explain to us the meaning of understanding our patients — especially our Latino patients. We are told to listen to our patients and to learn what illness and healing means to them. Further, we are instructed to pay attention to the meanings underlying certain words or descriptions especially in the context of pain. Most importantly, to understand what patients believe heals them and to work alongside that belief instead of against it. 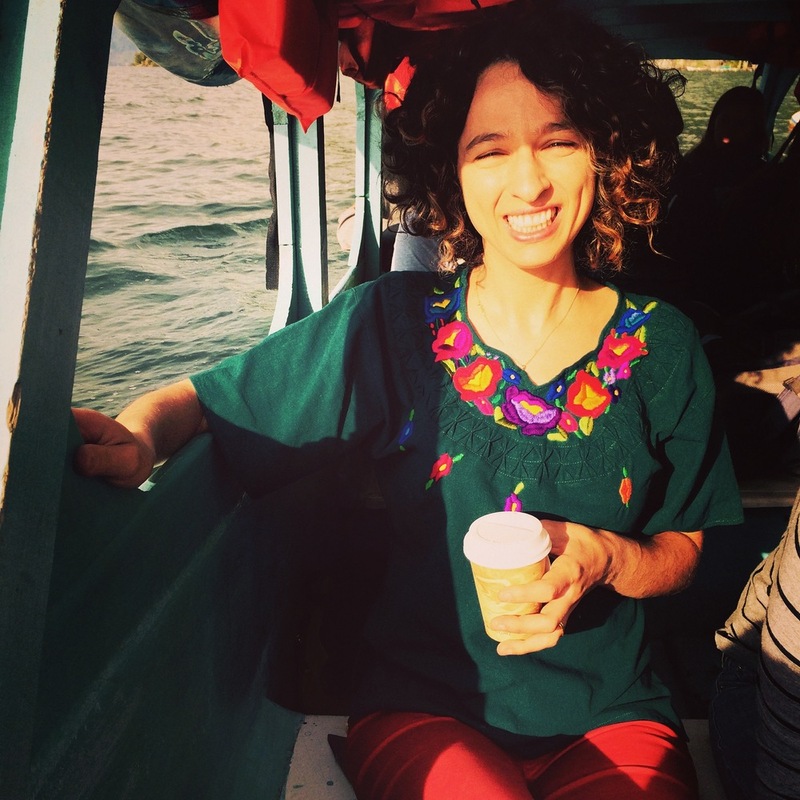 There are about 21 different Mayan languages spoken in Guatemala, which makes for a vibrant culture, but also speaks to the difficulty of providing culturally competent care to all of the distinct ethic groups. I also made a short film documenting my experience in Guatemala. If you like to watch it, please click on the following link: Memories of Guatemala Video.